You’ve done your best to make the switch from smoking to vaping a permanent one. You’ve tried tweaking little things here and there — maybe you’ve tried a few different e-liquids — but nothing is quite doing it for you. You might not happy with the flavor. You keep getting a burned taste. Maybe you feel like you’re just not getting enough nicotine to achieve real satisfaction. You keep asking yourself one question: Am I vaping wrong? If you’re not happy with your experience and want to know if you might be vaping wrong, this article is for you. I’m going to help you vape better by describing the 9 most common mistakes that new vapers make. Correct these mistakes now and start having the vaping experience you’re supposed to have. This guy may not own a car, but you can bet that he remembers to prime his coils. 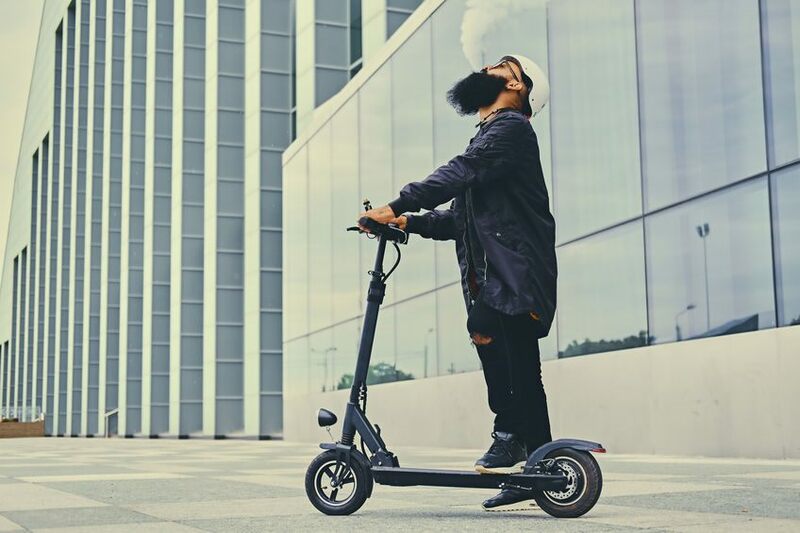 You be you, vaping scooter guy! By far, the biggest mistake that new vapers make is attempting to puff on their e-cigarettes as if they were tobacco cigarettes. With a tobacco cigarette, you usually take shorter, firmer puffs because that’s what makes the paper burn faster. A vaping device, on the other hand, only operates at one temperature regardless of how firmly you puff. If you puff too hard, in fact, you’ll probably end up with e-liquid in your mouth. The way to puff on an e-cigarette is with slow, even air pressure. I think that a smaller vape pen is usually the best choice for a beginner. When you walk into a vape shop, you’re going to see an assortment of gear ranging from simple vape pens to colorful and fancy looking box mods. The box mods will definitely draw your eye. 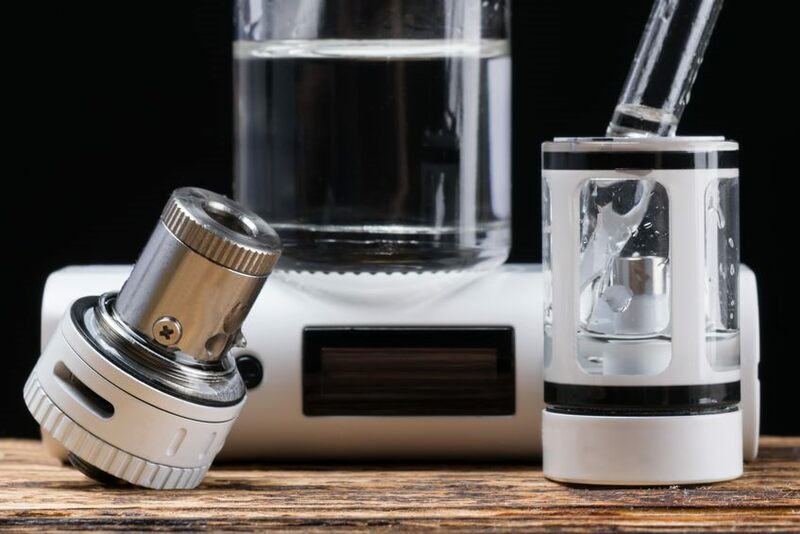 They’ll look like high-end equipment, and since switching from smoking to vaping is one of the biggest decisions you’ll ever make, good equipment is obviously something that you want. Here’s the thing, though: If you’re new to vaping, the simple vape pen is most likely the thing that you really want to buy. That’s true for two reasons. A high-end box mod has a complicated menu system and a bunch of features that you probably won’t care about at all for quite some time. Switching to vaping already means that you’ll need to get used to doing things like charging your device, filling your tank and replacing used atomizer coils. Do you really want to learn a complicated menu system on top of all that? High-end vaping equipment is usually designed for direct-to-lung inhaling because that’s what produces the biggest vapor clouds — and big clouds are what many vapers want. The problem, though, is that you’re used to inhaling from the mouth to the lungs if you’re a smoker or a recent convert from smoking. That’s what smaller vape pens are designed for. In that way, a small vaping device actually gives you a more cigarette-like experience than a large device. A good online vape shop like Smokly can help you find what you need. Keep your vaping coils wet — especially when you first install them. Have you ever gotten a burned taste when vaping right after installing a new coil? For that matter, do you feel like you always taste an unpleasant, burned harshness when you vape? There’s a good chance that you’re burning the wicks in your coils because you aren’t installing the coils properly. A vaping coil has a cotton wick that keeps the heating wire wet with e-liquid. Now, what do you suppose happens when you put a red-hot heating wire next to a strip of dry cotton? The cotton burns, of course! It’s important to avoid using a new vaping coil until the wick has a chance to become completely saturated with e-liquid. To help things along, prime a new coil by putting a little e-liquid on the wick through the top and side of the coil. Install the coil, fill the tank and wait several minutes before vaping. If you bought your first vaping kit from a local vape shop, you probably bought at least one bottle of e-liquid at the same time. You saw shelf after shelf of brightly colored labels with tasty sounding names, and you probably ended up with a sweet e-liquid that tasted just like candy. You probably thought that the e-liquid was delicious — for a few hours, at least. Then, you started to taste burned sugar. By the next day, you wondered why you ever liked the e-liquid in the first place because you couldn’t taste anything but burned, horrible harshness. What happened? Coil gunk happened. Coil gunk is the product of burned sucralose from sweetened e-liquid. Coil gunk builds up so quickly on a vaping coil that you might find yourself tempted to just power through it and continue vaping with the same coil for as long as possible. Coils, after all, are expensive. I suggest, though, that you shouldn’t continue using a coil that tastes awful and burns your throat. Sweetened e-liquids are everywhere these days, and coil gunk is the top problem that most vapers face. You can either replace your coils constantly, or you can switch to an unsweetened e-liquid. Click the link above for some other ideas that can help. Have you ever read that you shouldn’t try to drive your car until the gas tank is completely empty? Sediment in the tank could enter your car’s fuel system and cause damage. A vaping tank is similar in that it should never be allowed to dry out completely. That’s because the e-liquid can only pass through the coil’s wick holes if it actually touches those holes. If the e-liquid doesn’t touch the holes, the wick dries out — and you know what happens to a dry vaping wick. Keep your tank topped up. Have you ever experienced a bit of dry mouth when vaping? That’s not abnormal. Vegetable glycerin and propylene glycol are the two most plentiful ingredients in any e-liquid, and both of those ingredients draw in moisture and trap it. That’s why both are used in shelf-stable foods; they prevent those foods from becoming stale. When you vape, you should replace the lost water by hydrating frequently. The more powerful your vaping device and tank are, the more vapor the combination will produce — and the more vapor your vaping setup produces, the lower the nicotine strength of your e-liquid should be. If you’re using a vaping setup designed for direct-to-lung inhaling, your e-liquid should have a nicotine strength of about 3-6 mg. With a setup designed for mouth-to-lung inhaling, you should use a higher nicotine strength. You can find nicotine salt e-liquids with strengths up to 50 mg today, but I usually tell people that around 18 mg is a good starting point. If you really need that cigarette-like buzz, though, go for the 50. 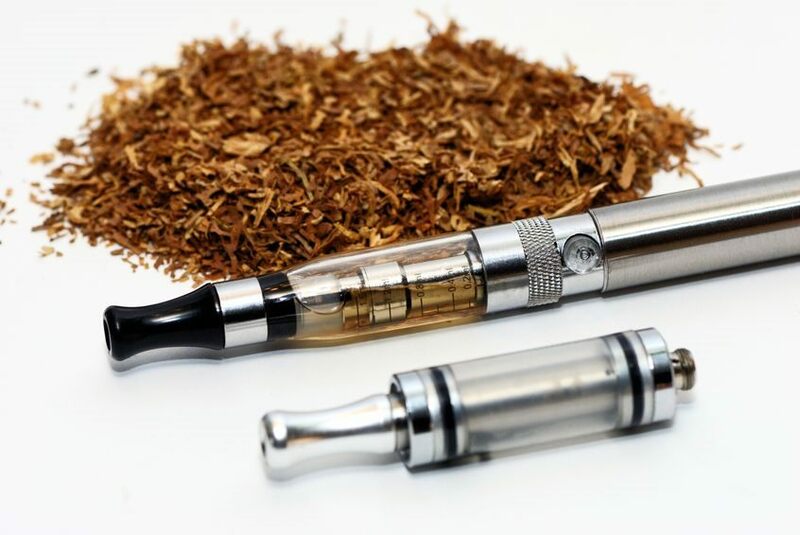 Here’s how you can tell if you’re using the wrong e-liquid nicotine strength. If your nicotine strength is too low, you’ll have frequent strong cravings and may find it impossible to resist returning to smoking. You’ll use your e-liquid rapidly. If your nicotine strength is too high, you might feel overly wired from the excess nicotine. You’ll probably experience severe irritation in your throat when vaping. If you’ve bought e-liquid a few times, you may have noticed that every bottle has a VG/PG ratio printed on the label. The ratio matters because it determines the thickness of the e-liquid. Thin e-liquids work best in smaller devices, and thick “Max VG” e-liquids work best in larger devices with accessories such as rebuildable atomizers. Does your vape taste burned if you don’t wait a minute or two after each puff? Your e-liquid is probably too thick. Use an e-liquid with more PG. There’s a wide world of e-liquid out there, and you’re doing yourself no favors if you buy nothing but the same e-liquid. Cigarettes can only taste like cigarettes, but e-liquid can taste like anything that you can possibly imagine. If you aren’t experiencing all of those different flavors, you’re missing out on a major part of what makes vaping so great. You might even experience vaper’s tongue, the phenomenon in which your taste buds become so fatigued that they can no longer taste your e-liquid at all. Palate fatigue is real! Experiment with new flavors; it’s why vaping is so much fun.